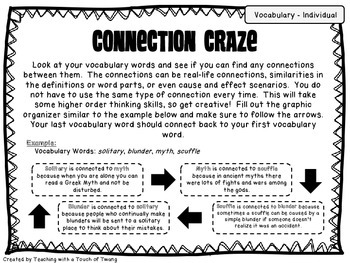 Spelling and Vocabulary Stations are a wonderful way for students to independently reinforce their learning and enrich themselves through fun activities! 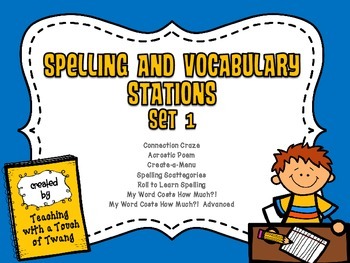 Included are six different spelling and vocabulary activities and graphic organizers that require students to think critically, identify spelling patterns or word parts, write creatively, incorporate mathematics into their spelling, and so much more. 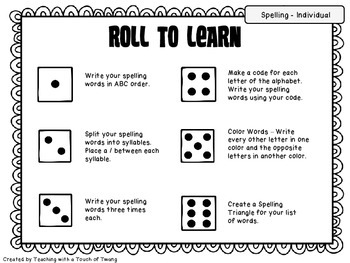 Each activity can be used with any set of spelling or vocabulary words. In the top right corner of every directions sheet, you will see a tab that indicates what subject the activity is for (spelling or vocabulary) and how many people can participate (individual, partners, or group). 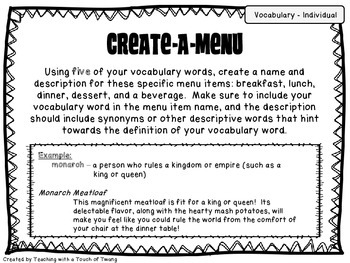 These are perfect for literacy stations, early finishers, or even homework! 6. My Word Costs How Much? !